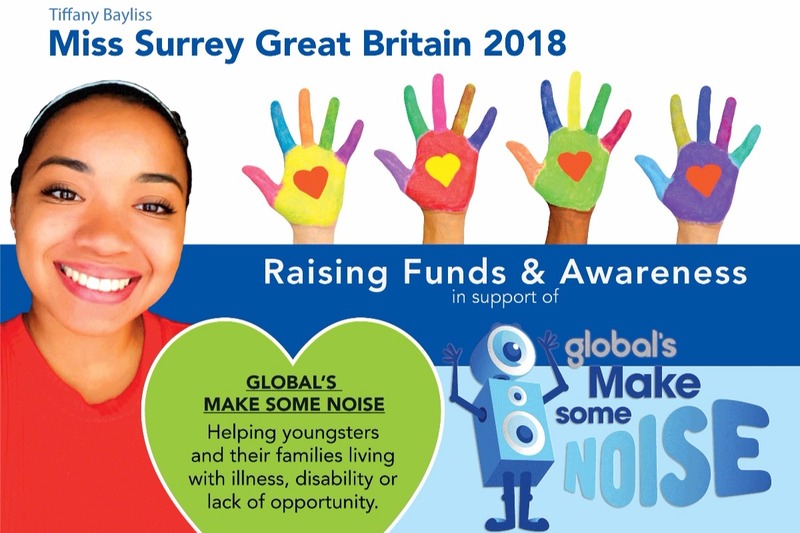 I first learned about the charity of "Global Make some noise" when I was selected to represent Surrey as a finalist for Miss Great Britain 2018 . As the chosen charity of this pageant, I was made aware of a community of people who raise money for a cause that runs very close to home. As someone that is hard of hearing and as a charity that works tirelessly to provide help and support to children with disabilities, illness and lack of opportunity, I hope that my newly gained platform will allow me to 'pay it forward'. The more people that know about Global's Make Some Noise, the greater the impact and consequently, the greater amount of children whose lives will be positively enabled with opportunities that were previously unavailable to them. Please spread the word by sharing my page with your friends and family. Thank you in advance for your generosity, it means an awful lot to me!